Caspian is on the mend!! Thanks to your donations he is getting the care the he so deserves!! His coat is clean and silky smooth. He has gained weight and his wounds are almost all healed up! He is still fearful, but that takes time. After years of suffering and struggle it takes a while to build trust. We show him love, kindness and patience....all things hes' never had. Happier days are to come! Caspian, who is named after "Prince Caspian" from the Narnia movies, is a Prince in the making! Life has not been easy or kind to him. At about 6 years old he has spent his life struggling and surviving. The frigid winter cold has left his ear frost bitten and deformed. He's beat up and scarred from fighting, his teeth are broken, he's thin, his fur matted and he was covered in ticks. He is also FIV positive. 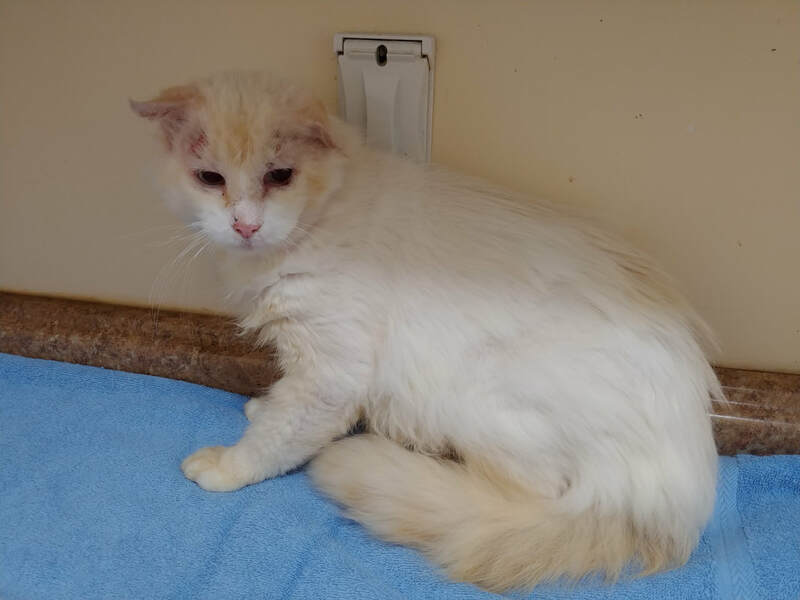 But if you look past all of that you will see a beautiful long hair flame point cat with gorgeous blue eyes and a kind soul that is getting a second chance. Caspian is fearful of people with good reason, but he's slowly coming to trust. We are hoping for donations towards his veterinary care and general long term care. He will need time to recover and regain his beauty!. ​Caspian has been let down by people his whole life. BDRF will do everything we can to make that up to him. He deserves many years of comfort and happiness. But we can't do it without your help! 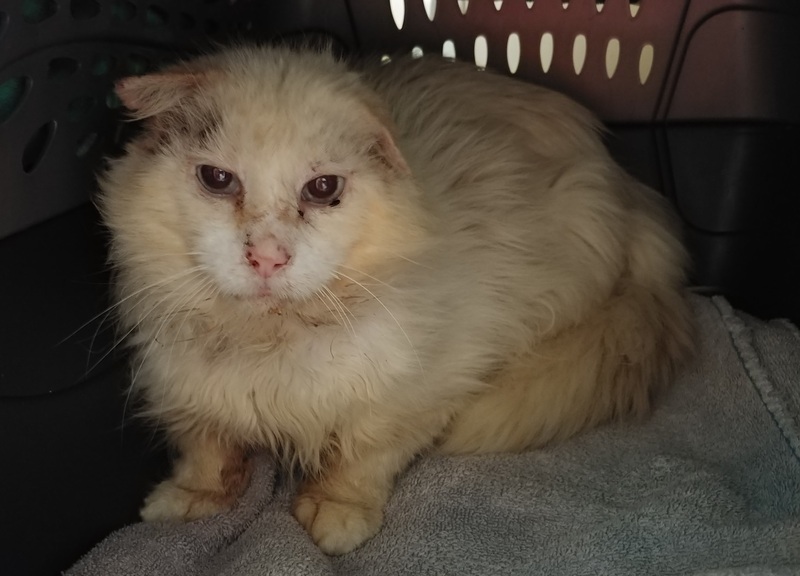 For the people who leave these cats behind and think that they live some great life of "freedom" on their own should look closely at Caspian and see the suffering he has endured, it's right there in his eyes. Without rescue he would have surely perished.